TECH-ARROW guides companies through the whole process of cloud adaption, from mapping the on-premises infrastructure through to migration and securing the new cloud environment. With the increase in corporate and government compliance requirements, mycompanyarchive offers a comprehensive portfolio of products for secure content archiving and management. 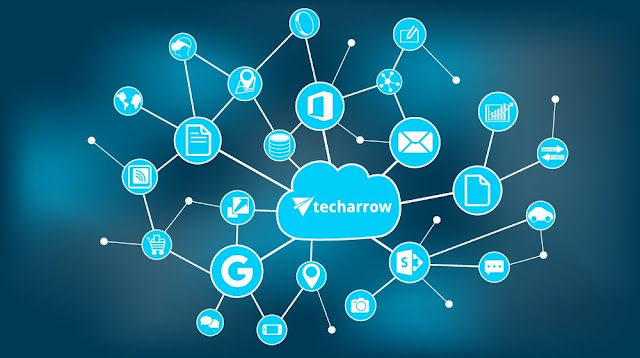 TECH-ARROW gives enterprises a robust, powerful information archiving solution that supports litigation and compliance needs, complementing Microsoft Exchange and Office 365 with more advanced features, such as enhanced e-discovery functions. "With mycompanyarchive you can create a common, safe archive for Office 365, Exchange, SharePoint, file servers, workstations, and more. Your company will make a big step towards meeting regulatory requirements (GDPR, SEC 17a-4, SOX, HIPAA, etc.) and corporate policies by securing data. Built in a high-tech Azure environment, using blob stores, secure Azure databases and services, mycompanyarchive provides access to your archived content 99,99% of the time, even on mobile devices," said András Pálffy, COO of TECH-ARROW. mycompanyarchive is built to suit the needs of companies of any size, from 5 employees to 50,000. Small and medium-sized businesses can leverage the cloud archive services of mycompanyarchive, which include Microsoft Azure Blob Storage, Azure SQL Database, and superb computing power of interconnected virtual machines, and they don't need to manage their own cloud IT architecture to do so. Enterprises can install the new-generation archive solutions of TECH-ARROW in their own cloud or on-premises IT. Hybrid infrastructures are supported, too. The new GDPR feature of mycompanyarchive is going to help companies reach GDPR compliance in a simple and effective manner. mycompanyarchive enables companies to full-text index all relevant data repositories, and to have a federated full-text search across company data. This gives you the power to manage data in your organization, including Microsoft Office 365, Exchange, SharePoint, and file servers, user workstations CRM, ECM systems, and various other applications. Finding relevant information in all internally used systems quickly becomes an easy thing to do. End-user tools contentWEB, officeGATE, and contentACCESS Mobile enable you to browse and search all company data anytime and anywhere. The new GDPR feature, combined with secure archiving, provides an answer to many challenges that companies will face when GDPR becomes enforceable on 25th May 2018. "Today, managing and securing organizational data is an essential activity for every business," said Parri Munsell, Director, Microsoft 365 Partner Marketing. "We're excited to see partners like TECH-ARROW using Microsoft solutions to help customers comply with the GDPR and other regulatory requirements." How do you migrate your legacy data to Office 365 and mycompanyarchive? TECH-ARROW's contentGATE provides you a scalable, secure, and compliant migration. Companies running a legacy email archiving software due to technical reasons (and other factors such as business compliance) need not worry again about the loss of data, data inconsistency, broken chain of custody, etc. These can now be prevented with the use of contentGATE. In addition, the migration software provided by TECH-ARROW is also more enhanced due to its support for several other legacy systems, like mail servers, DMSs, and CRMs. TECH-ARROW provides services with optimum speed that enable a business to experience no downtime during the data migration process.